Not every patient is a good candidate for LASIK, but there are other options for improving vision including the Visian ICL™, or Implantable Collamer Lens (aka Intraocular Contact Lens). The Visian ICL™ is a tiny lens placed inside the eye to improve vision and function much the same as traditional, external contact lenses. The lenses are implanted during a simple outpatient procedure that typically only takes about 15 to 20 minutes. Although LASIK is still the most widely occurring type of refractive surgery, ICLs offer some advantages for certain patients, particularly those with extreme vision problems. 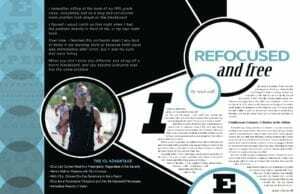 Keeping a sharp focus on the finish line has always been important for triathlete and publisher of Oklahoma Sports and Fitness magazine publisher, Sean Call. From the water to the road, Sean needed a vision correction procedure that would give him the sharp vision he needed–without having to fight glasses or contacts during a race. He found it with Implantable Collamer Lenses from Triad Eye Institute. Sean received ICLs in fall 2017 with Triad Eye Institute surgeon Dr. Ryan P. Conley and he couldn’t be more thrilled with the results. Today, Sean is able to focus clearly on what really matters, whether it’s finishing up the latest issue of his magazine or striving for a new personal best in a triathlon. 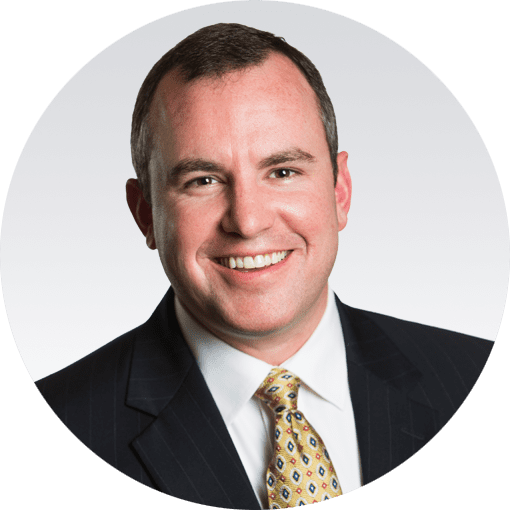 Click HERE to read more about Sean’s ICL experience with Triad Eye Institute. ICLs Can Correct Most Any Prescription, Regardless of the Severity. The FDA-approved Visian ILC™, is made of Collamer, a highly biocompatible material composed of copolymer and collagen. The Visian ILC™ is a soft, foldable lens that transmits light and reduces reflections that can interfere with vision, so you can see clearly. The Visian ILC™ is inserted into the eye through a small, micro opening. The lens then gently unfolds in the eye and is positioned between the iris and the natural lens where it stays indefinitely. Visian ICL™ can give you the freedom to see the world without the hassles of contacts and glasses. We encourage you to schedule a consultation with Triad Eye Institute today. During our meeting, we will advise on whether or not you’re an ideal candidate for Implantable Collamer Lenses, as well as compose a custom treatment plan designed to achieve the clear vision you’ve always wanted. Call our office today and one of our seasoned staff members will be able to assist you.